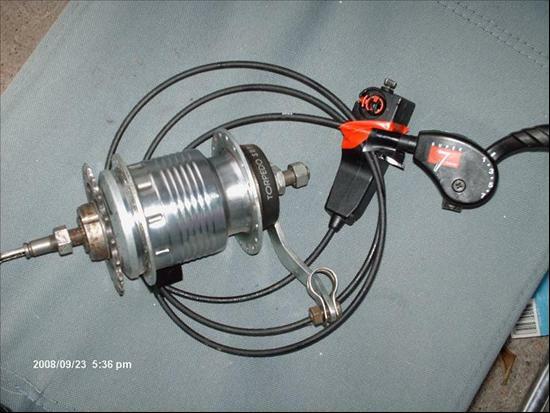 This Sachs Super-Seven gearhub H7203 was introduced in the end of 1992; this an early model with steel shell, coasterbrake and triggershifter and clickbox. Today we can find it as SRAM Spectro S7 on the market, with an alloy shell and gripshift. Range is 303%.